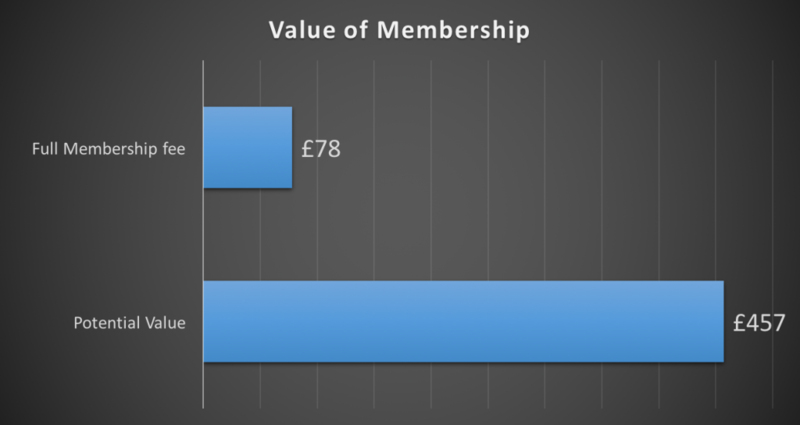 What’s the value of your BASI Membership? We thought we’d have a look at what Members actually access with their BASI subscription and the potential value of your investment. Where does this potential value of £457 come from…? Public liability insurance covers the cost of claims made by members of the public for incidents that occur in connection with you teaching snowsports or when you are recreationally riding/skiing. The best quote we could find for an outdoor fitness instructor with £5m public liability cover is £272. It’s actually very difficult and likely to be more expensive to find insurance specifically for ski instruction. Members get up to £10m of cover included in their Membership. It’s hard to put a figure on how much value Members get from Pro Deals as ultimately this depends on how many purchases you make. We’ve come up with a figure based on replacing 1 pair of skis or 1 snowboard every 2 years and 1 pair of boots every 3 years. However, with various Pro Deals offering outerwear, protection, luggage, cars, eyewear and casual clothing and discounts on boot fitting, parking, clothing brands, lift passes and much more, there’s potential to gain far greater value than the modest assumption we’ve made. As an active Member of BASI, you can access all the manuals in ebook format via the Member’s area of the BASI website. You can also download all the manuals onto your mobile device via the BASI App. You’re not likely to buy all the manuals every year but accessing these saves you from forking out for a hard copy. Ultimately, your Membership subscription leads to gaining a licence to teach using your qualification. We’ve not given this benefit a value as it depends on how you choose to use your qualification and how often you teach. In the last 12 months, over 100 job opportunities have been posted on the BASI Jobs board (some seeking more than 1 instructor). That’s plenty of opportunities to put your qualification to use and earn some of what you’ve paid for Membership back!